Petromax lamp at Revi Karuna Karan Memorial Museum in Alappuzha. 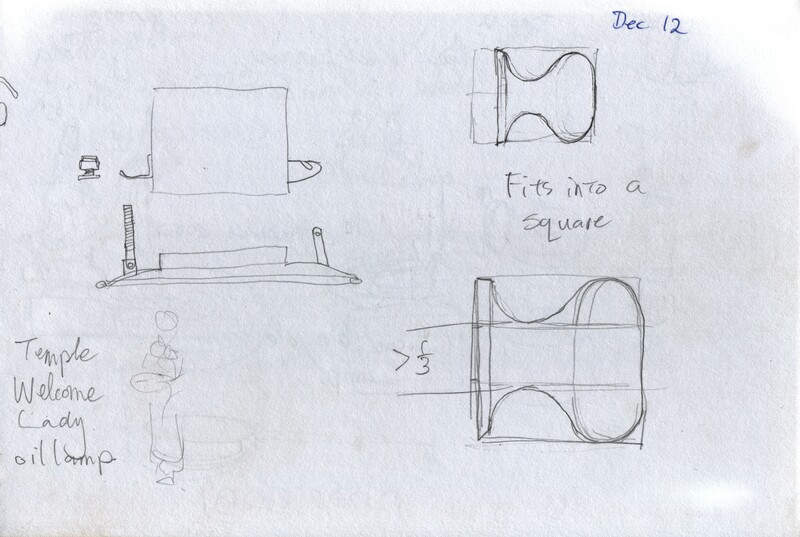 This appears to be a liquid fuel lamp with a toroidal fuel tank at the top of the lamp. It appears that someone has hand-made a new glass globe out of flat glass and tin to replace the original globe. 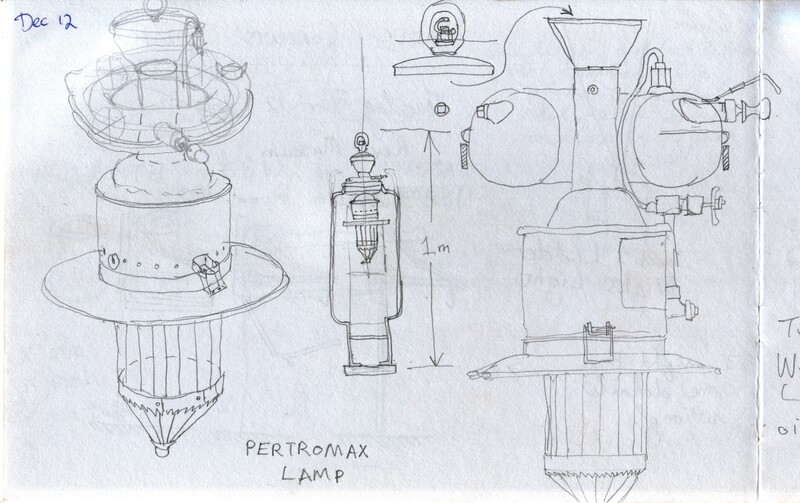 Studying the Petromax lamp details. The knob on the pump has pleasing curves and proportions, and I tried to see whether it has anything to do with ratios. At the Revi Karuna Karan Memorial Museum in Alappuzha. The title “Ajanda Shilpa” might mean that the figure is a decoration from Ajanta Caves monumental site in Maharashtra. I am just guessing. 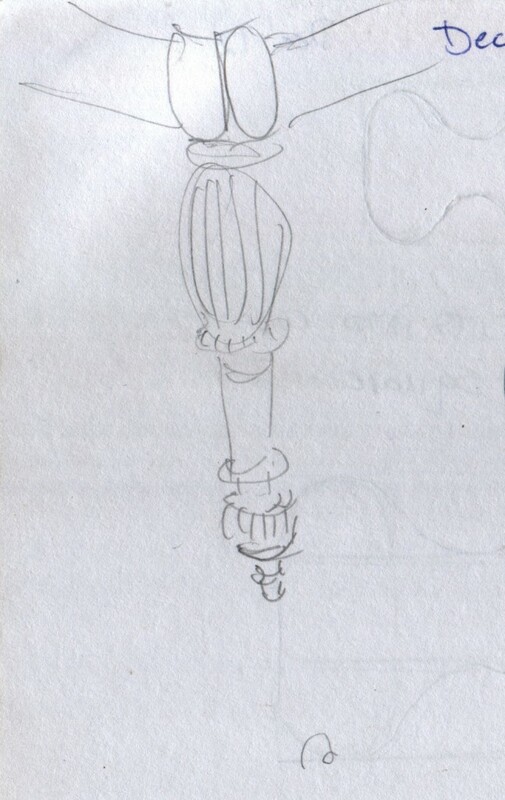 I will need help in reading the cursive note that the museum attendant wrote for me above my sketch. I got as far as ശാ_ന്തള. aAt the Revi Karun Karan Memorial Museum in Alappuzha. This might be a dhoop burner, or incense burner. The bronze bowl has a handle with a foot at the end. I copied a label that said വാല ഉരളി (vaala uralli) but I can’t figure out what it means. Elaborately carved wooden leg for a bed. Perhaps from Portuguese colonial times? 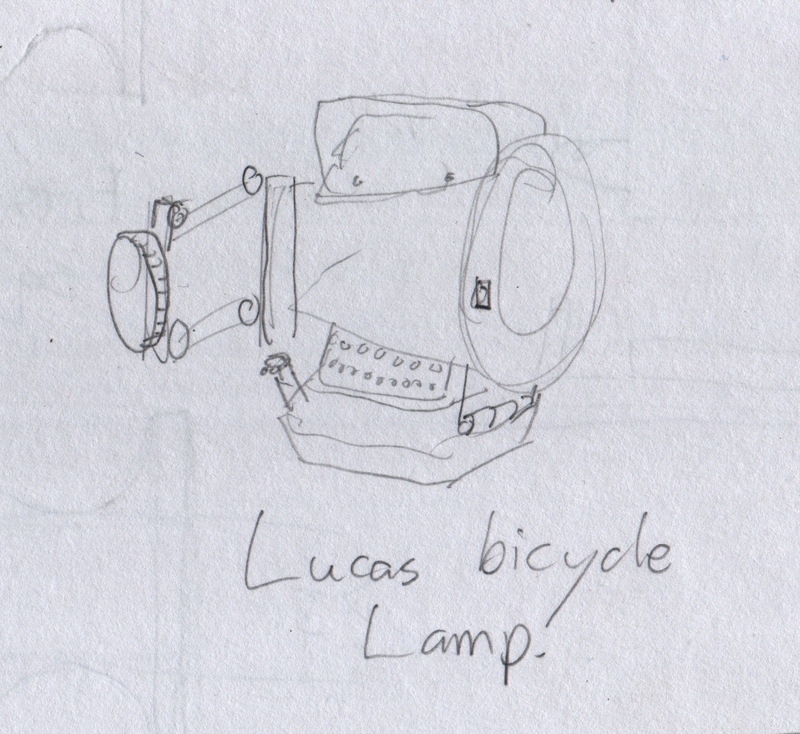 A vintage bicycle kerosene lamp made by Lucas, who also made electricals for automobiles and motorcycles. At the Revi Karuna Karan Memorial Museum.